What a sad occasion to write a blog post. As you have probably already heard: , our favourite count1 died today. 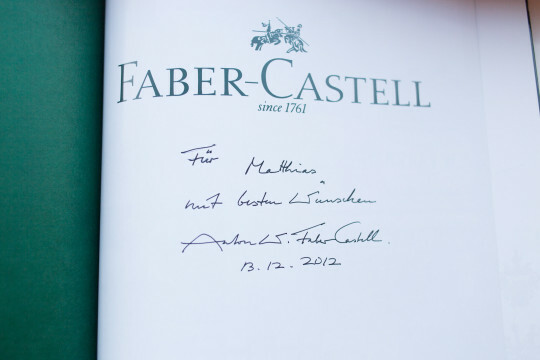 His influence on the pencil world has been immense: In 1978 he started running Faber-Castell and among other things he introduced the Perfect Pencil and the Graf von Faber-Castell product line. A signed book from the count. I got it from Sean. Goodbye. I will miss you. If you understand German and would like to know more about him and Faber-Castell: there is a 45 minute documentary from German broadcaster ARD online. …and there’s of course also Sean’s amazing adventure in Stein.